Burning wax candle in candlestick on black background. 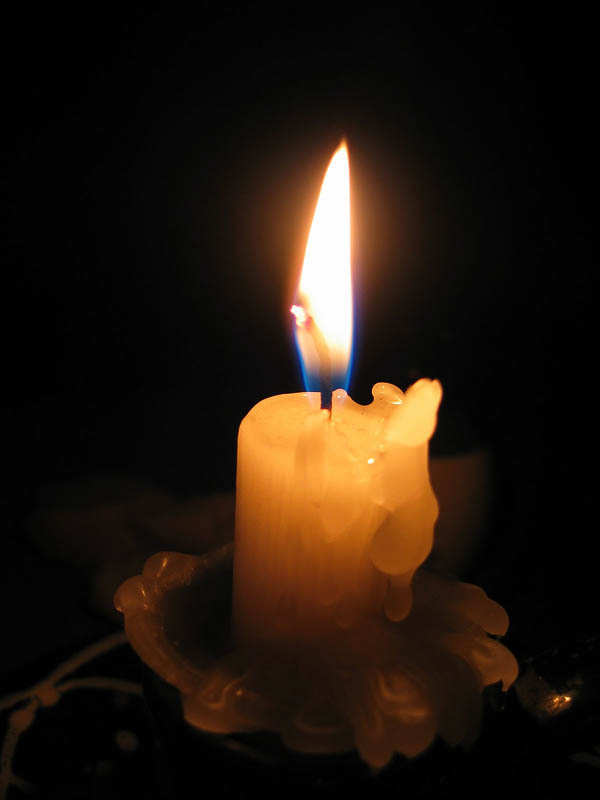 Burning candle light with radiance on dark background. Burning candle wick with halo, aureole and molten, melted wax. Object.